Official Video: Published on March 7, 2018 Lyricallynn – Healing song Album- I Won’t Hold Me Back Description : I struggled for years with Vocal nodules, Thyroid nodules, and Fibroid tumors. When I lost my voice, I had to stop teaching music, I was devastated, I didn’t think i would be able to sing or teach again. My spirit was crushed. To make matters worse, tumors invaded my body, I felt hurt and ashamed…… I had to do something about it. I was then reminded of stories I’d read in the bible about people, who struggled like I did, we all had one thing in common, determination to be healed, set free, to live delivered. Journey to Healing: My struggles set me on my new path to healing. I changed my thinking, my eating, determined to let nothing stop me even myself.. In the midst of my struggle, Yahweh gave me a song..as i went through months of vocal therapy, treatments, fasting and prayer, He gave me the words to help me find my voice and deliverance from my iniquities. 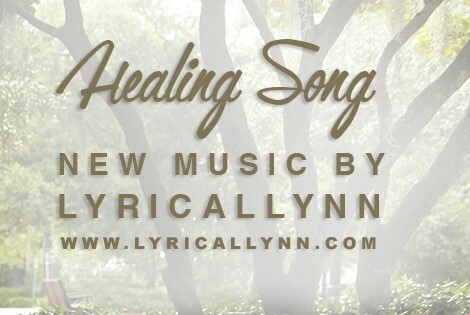 My story is best put in song- my testimony is that I am healed and delivered from it all. Everyday I profess it, and claim it. Allilga Publishing (BMI) Lyricallynnmusic Publiishing (SESAC). Video Directed by: Michael Cork -Macork Solutions,Tallahassee Florida. Isn’t God great may he continue to Bless you in all that you do. Awesome Awesome Song. Love it.